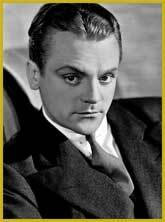 James Francis Cagney was born on July 17, 1889 in New York City and died in Stanfordville, NY on March 30, 1986 from a heart attack related to diabetes. He called himself The Professional Againster – probably because of all the gangster and tough guy roles he played. His Oscar, however, was for his role as George M. Cohan in the musical, Yankee Doodle Dandy. Cagney was of Norwegian and Irish descent that may have contributed to his wisecracking, staccato style of talking. He was in films for thirty years, retired to his farm in New York State in 1961 and then came out of retirement in 1981 to star in the adaptation of E.L. Doctorow’s novel, Ragtime. 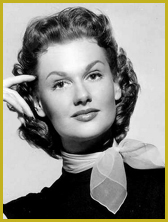 He was reunited with Pat O’Brien, a longtime favored co-star. Cagney’s final film was in Terrible Joe Moran, a made-for-TV movie co-starring Art Carney.